So these are the colors from Sally’s. Left to right on the front row are: “Princess Grace” “Rainbow” and “Blue Iguana”. In the back are: “Sunset Sail” “Platinum Silver” and “In The Lime Light (Neon)”. The photos really don’t do them justice. I need to get a better camera. But, there they are. 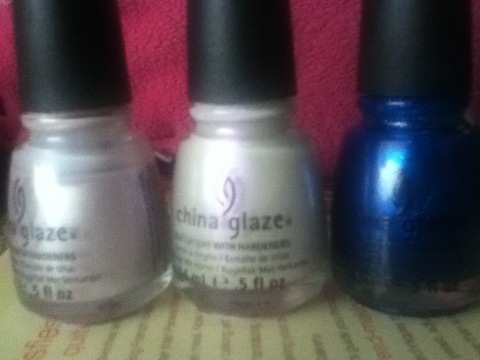 If you really want to see them, you could look them up, or go into your nearest Sally’s or wherever China Glaze is sold. My next color from CG is probably going to be “Aquadelic” it’s the prettiest shade of blue I’ve ever seen in a nail polish. 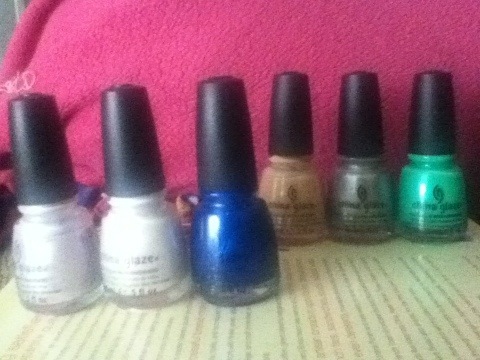 What color nail polish do you have and absolutely love, or you plan on getting? Comment below.